Black organza wide-brimmed picture hat. With original Balenciaga box. ‘Balenciaga’s hats are an integral part of his fashion,’ reported the French fashion review Jardin des modes in 1961. 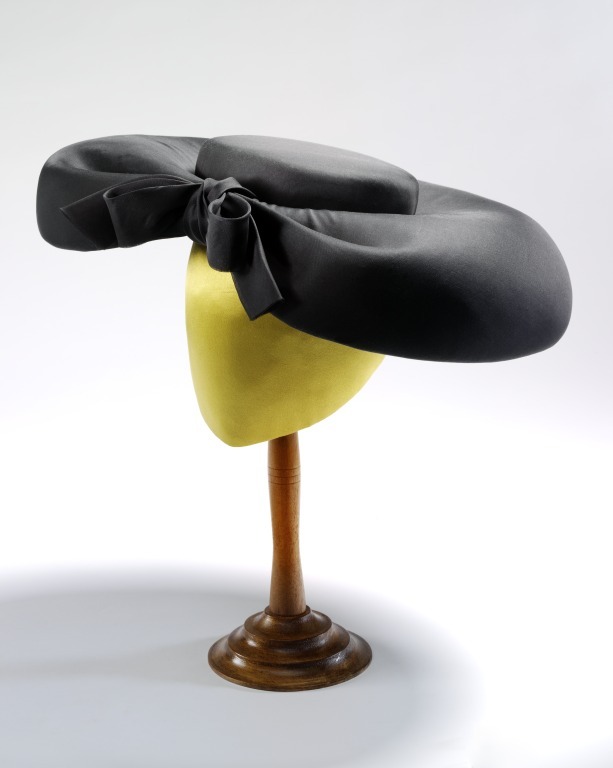 They ensure ‘that volumes are balanced and the silhouette is perfectly finished off.’ Fairly conventional ensembles were often paired with a striking hat which lifted the whole look and made it appear more avant- garde. The client could buy the whole ensemble or leave the hat if it was too daring. The designs for hats were as fiercely protected as those for dresses. The police commissioner stamped the official sketches of the hats to protect them from being copied.